#1 BESTSELLING WRITER, #1 BESTSELLING SERIESOne by one, people are missing. Find them before they're dead.Santosh Wagh quit his job as head of Private India after harrowing events in Mumbai almost got him killed. But Jack Morgan, global head of the world's finest investigation agency, needs him back. 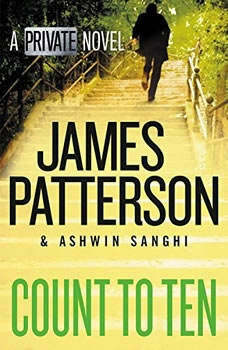 Jack is setting up a new office in Delhi, and Santosh is the only person he can trust.Still battling his demons, Santosh accepts, and it's not long before the agency takes on a case that could make or break them. Plastic barrels containing dissolved human remains have been found in the basement of a house in an upmarket area of South Delhi. But this isn't just any house, this property belongs to the state government. With the crime scene in lockdown and information suppressed by the authorities, delving too deep could make Santosh a target to be eliminated.